Our infused oils are made exclusively with freshly gathered herbs and flowers in a base of pure olive oil. CALENDULA OIL - A most wonderful moisturizing oil for the skin, helps ease complexion problems, great for baby and those with delicate skin. 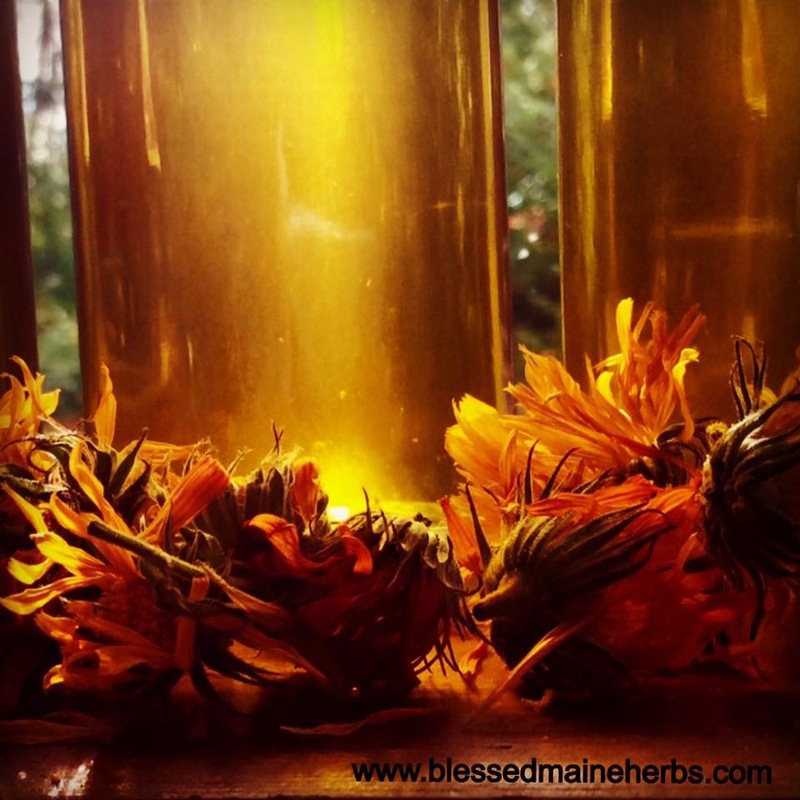 Antiseptic, antibacterial, a classic healing oil. LAVENDER OIL - Pain easing, muscle relaxing, nerve soothing, incredibly aromatic. ROSEMARY OIL - Rosemary is stimulating and makes an excellent after sports rub for the muscles. It is also a classic hair tonic, and a rosemary oil treatment for the hair leaves your locks shiny, clean and fragrant. ST. JOHNS� WORT OIL - Muscle relaxing, pain relieving, anti inflammatory oil renowned for easing muscular aches and pains and swollen inflamed joints. We offer it to you unscented or with the addition of pure essential oils.